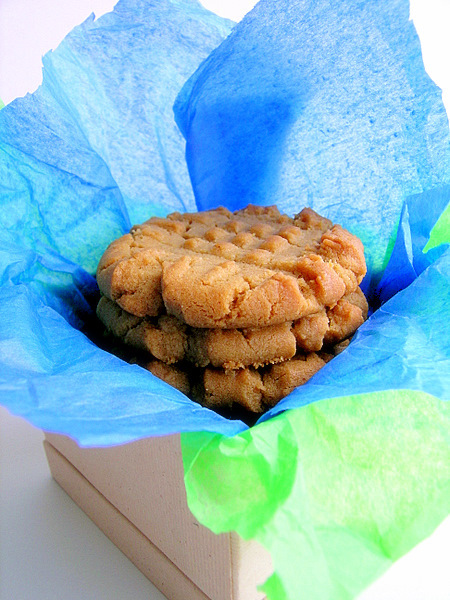 I was super excited when I saw Joy The Baker’s recent post on flourless peanut butter cookies because these cookies are made without flour (as the name would suggest!) and also without butter (in my previous post I noted that I’m out of butter!). The cookies require only four ingredients, and they bake up soft and chewy. I’m so impressed with these cookies and am thankful to Joy for posting the recipe. 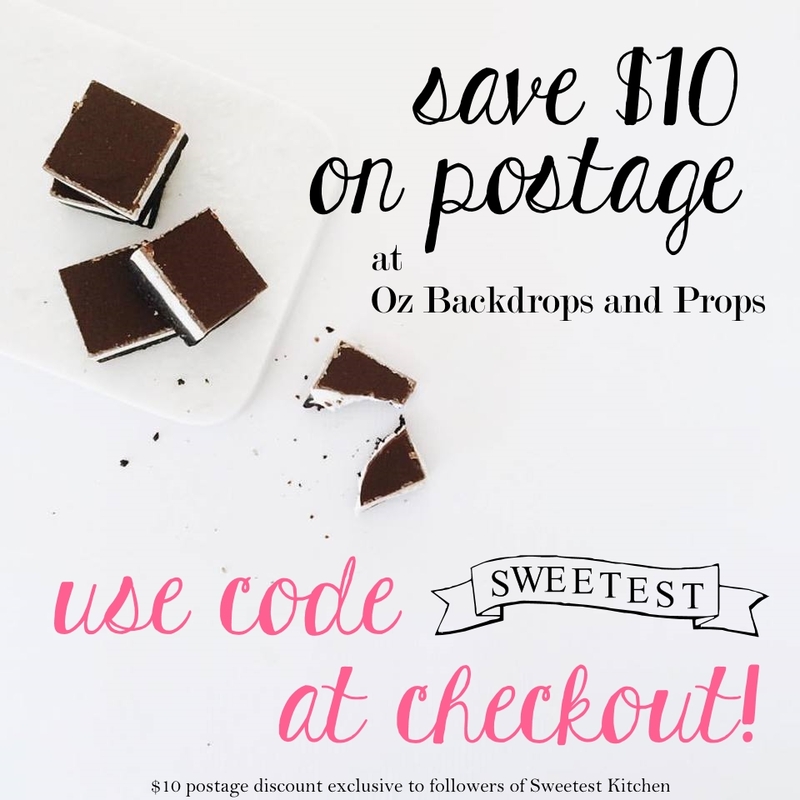 If you’re short on staple baking ingredients (such as flour, butter or vanilla, etc.) and in need of a super quick sweet treat, I highly recommend these little gems. I make the same, but without baking soda 🙂 And i’ll add choc chips too.. They’re awesome! Oh!! I’m going to see if I have the ingrds for these and make them right now. The look wicked easy. Thanks for sharing! This recipe will be great for my son who has a gluten intolerance. Those with Celiac disease can enjoy these too!!! Hi! I really want to try this recipe, but I wonder if I could use the Maranatha Almond Butter in place of peanut butter? Since it is all natural, it is more liquidy than say a JIF type product, but since the recipe calls for “all natural” I thought maybe that’s the texture it needs. Can anyone tell me if they used the type of peanut butter you have to stir–the real stuff? Thanks! Yes you can, I like to use half almond and half peanut butter but you can use any nut butter to make these, you should also try it with chocolate chips. I made cookies like these before. They were delicious, but I put in a little cinnamon and it made them even better! Made these tonight, and they are/were excellent! Even used the reduced-fat peanut butter, and it turned out fine. Chewy and delicious. Thanks! I made these cookies just now since they looked delish and very low maintenance (no butter, no sugar?!). I didn’t use organic PB (Skippy instead) and it came out…powdery. They taste great, but there’s really no consistency. I even tried baking them a little longer. I wonder if I should have used more PB or less baking soda?? Sarah C. , I noticed you didn’t add the 1 cup of sugar called for. That would affect the outcome of the cookies, too. ** By “powdery” I mean dry and crumbly. Sarah, i just made these cookies and i think the trick is taking them out as soon as they get a little brown, they’ll still look a little undercooked, but as they cool they harden a little. Because a left a few in a little longer and they weren’t as good. hi, i tried this recipe and my cookies turned out extremely flat… do you happen to know why? thanks! I couldn’t say for sure, although the first thing that comes to mind is to ask if you used real butter, and not a butter spread from a tub. This could result in a flat cookie. Were they crunchy or soft? Oh hang on, Sheila, I should have looked again at the recipe before I replied. In my reply I was not talking about peanut butter, I was talking about butter. But after I read your reply I realized that there is no butter in that recipe! I’m so embarrassed! I used Jif peanut butter for these cookies, so the fact that you used Skippy shouldn’t have been a problem. Now I can’t actually pinpoint any ideas on why your cookies ended up flat. You could try a different peanut butter, and make sure to correctly measure all the ingredients, as well as making sure the oven temp is set correctly. I hope they work out for you if you decide to make them again! Let me know if you do! I made these for my son who we suspect has a gluten and dairy intolerance and they are fantastic! We have only just started him on a gluten and dairy free diet and it is hard for him. He is only three and doesnt quite understand why his brother and sister can have biscuits and he cant. These are great because he loves peanut butter. They turned out beautifully. He doesnt feel left out now he can have his ‘special biscuits’…in fact the other two wanted to trade their chocolate chippy biscuits for one of his! Every time I make flour less peanut butter cookies they turn out hard within an hour out of the oven. I would like to make these for a reunion, since I am gluten free, and flour less cookies rock. any suggestions on why my cookies get hard so fast? I am not absolutely positive, but my first, and only guess, might be that you are baking them for too long. Make sure your oven temperature is correct (an oven thermometer can be helpful for this) and take the cookies out of the oven *before* they look done. If they already look done inside the oven, then they are over-baked and may become hard and crunchy once they cool off. Wow this sounds like a great go to recipe when you running low on baling ingredients 😉 Thanks for the recipe can’t wait to try it! These cookies are fantastic! I’ve been on the search for a nice soft & dense pb cookies and my luck has been sketchy at best. 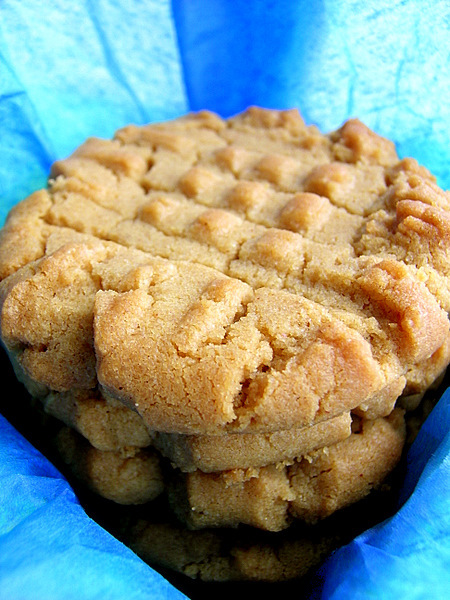 These cookies are so peanut buttery & easy! My search has officially ended!